In case you missed the original announcement on our Facebook page, the 2014 edition of our Song Hong half marathon, 10km, 5km and kids fun run will take place in Ciputra on Sunday 7th December. Participants will also need to collect their race kit the day before on Saturday 6th. We are very pleased to announce our continued partnership with our lead sponsors Ciputra and Elite Fitness. We will also be continuing to support ENV – Education For Nature Vietnam who will receive all proceeds from our event which we are calling The Race for Vietnam’s Wildlife. 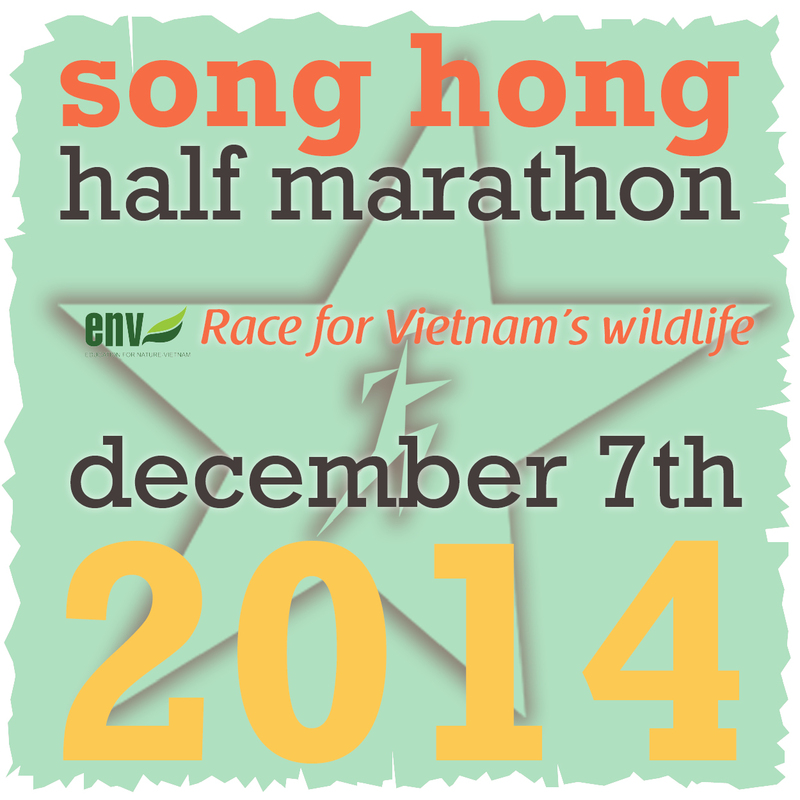 ENV will be providing all our race day volunteers and working hard to promote the race as a great way to raise awareness of their campaigns to prevent wildlife crimes in Vietnam. We are now finalising the details of our online registration and we will also have a cash payment facility at our race desk here in Hanoi. All the details will be confirmed right here on our website in the next couple of weeks. In the meantime, stay in touch through our Facebook page for all the latest race information.